On Wednesday night, March 8, acclaimed filmmaker and USC alumnus Jason Reitman joined Professor Barnet Kellman for an unforgettable directing workshop with two of Kellman’s classes, “Directing the Comedic Scene” and “Intermediate Directing.” Currently nearing the midpoint of the semester, both classes aim to teach students how to work with actors and analyze a scene as directors. Students work with professional actors directing scenes from a known screenplay—in this case, Sideways—which they workshop throughout the semester until filming at its conclusion. For many students, this is their first experience directing someone else’s writing. As Kellman puts it, the class asks, “How do you take something that’s intended to be funny on the page and make it so?” Or how, as a director, do you work in the service of someone else’s material? After setting the tone with these key lessons and a few other colorful anecdotes, the class officially transitions into workshopping its first of three student-directed scenes. The actors play out the scene once in full, receive some notes from their director, and work through various components while Kellman and Reitman watch from their seats, silent and thoughtful. When Reitman offers his first note of the night, it’s a surprisingly simple one. He’s right, of course, and the opening of the scene quickly finds new life. Through all three scenes, Reitman and Kellman offer notes that fluidly move between the most minute physical details—like moving a table to force awkwardness and distance—to sweeping comments on character motivations and the games playing out within a scene. 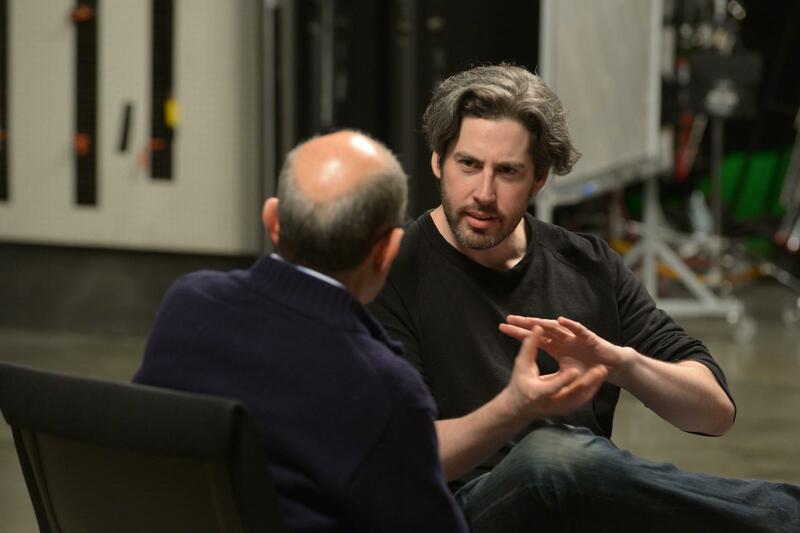 “And try not to make eye contact,” Reitman adds to the actor before moving the table downstage and walking away. The goal of Kellman’s class is to teach his students proven techniques and strategies such as these which, if implemented into their own work, will help them continue to grow and mature throughout their careers as directors. Nothing can replicate true first–hand experience—only time, patience, and tireless practice can achieve that. But to work directly with one of today’s most accomplished comedy directors, to learn from his experiences and watch him work in real time—for this group of students, that alone is a directing experience they’ll never forget.